•The birthplace of the Navy is in dispute: Beverly, MA and Marblehead, MA both claim to be the home of the first naval vessel, the schooner Hannah. •Know someone who should be receiving this newsletter and other communications from the REPI Program? Tell them to subscribe here. In past newsletters, we have highlighted Sentinel Landscapes from the perspective of the REPI Program (Fall 2015 Newsletter) and the local partnerships (Summer 2016 Newsletter). In this newsletter, we are excited to bring you the perspective of a North Carolina forest landowner who believes his land, family, and community are all benefitting as a result of his participation in the Eastern North Carolina Sentinel Landscape. Our hope in sharing this fresh perspective is that you will see that the Sentinel Landscapes Partnerships is about more than just landscape-scale conservation: it is about protecting our land, our livelihood, and our Nation. I am also pleased to be able to highlight the recent confirmation of the new Assistant Secretary of Defense for Energy, Installations and Environment, Mr. Lucian Niemeyer. Mr. Niemeyer is no stranger to the REPI Program, due to his years on Capitol Hill, and we look forward to working under his leadership. Finally, I am both thrilled (and a little sad!) to announce that REPI’s Deputy Director Ryan Orndorff has been promoted to DoD’s Director of Natural Resource Conservation Programs, and will be leaving the REPI office to oversee DoD’s Natural Resources portfolio. Ryan will continue to work closely with the REPI Program in his new capacity, and I am confident that his work will increase the efficiency and impact of DoD’s work to protect natural resources both on and off the installation as well as increase the flexibility of installation commanders. Thank you to Ryan for his tremendous efforts as Deputy Director of the REPI Program, and best of luck to you in your new role. Enjoy the final few days of summer! As a North Carolina landowner who has grown timber on his property his entire life, Gibson understands these landowners’ perspectives better than most. He also served in the North Carolina General Assembly for eight terms, worked as a senior advisor to North Carolina Governor Beverly Perdue, and now leads the North Carolina Forestry Association (NCFA) as its Executive Vice President. NCFA is the single largest group representing forest landowners in North Carolina – with its members owning over 19 million acres of forest land – and has been working with likeminded organizations that include Working Lands Trust (WLT) and The Conservation Fund to help forest and agricultural landowners identify and understand opportunities made possible by the Eastern North Carolina Sentinel Landscape. Encompassing a total of 33 counties, the Eastern North Carolina Sentinel Landscape is the largest of the six Federally-designated Sentinel Landscapes across the United States. Each Sentinel Landscape aims to coordinate resources between the U.S. Departments of Agriculture (USDA), Defense (DoD), and the Interior (DOI) to protect working and natural lands important to the Nation’s defense mission. Unique in its size, the expansive Eastern North Carolina partnership coordinates and leverages resources to address a number of different land use priorities, from military mission protection to agricultural conservation and species preservation. Fundamentally, the Eastern North Carolina Partnership – and every Sentinel Landscape – proposes to achieve these goals by working with landowners to deploy tools that can protect and restore natural and working lands, and ensure the long-term productivity of timber, crops, and ranchlands. The suite of tools that is now available to landowners is largely a product of dialogue over the years between partners such as those involved in the Eastern North Carolina Sentinel Landscape: the military, Working Lands Trust, North Carolina Department of Agriculture, and The Conservation Fund. These conversations helped all stakeholders better understand the core goals and needs of their respective communities. As Gibson, Schaefer, Sager, and Peete continue to work to spread knowledge of the Eastern North Carolina Sentinel Landscape and educate landowners on its opportunities, they credit the passion and commitment of the partnership with opening the door for landowners to get involved. “The tenacity of the leadership and the partners has been amazing,” Gibson says. And while soldiers, sailors, airmen, and marines continue to test, train, and operate across Eastern North Carolina, Gibson’s trees will keep on growing – until next harvest, that is. For more information about the Working Lands Trust and getting involved with the Eastern North Carolina Sentinel Landscape, contact the Working Lands Trust’s Executive Director Will Peete at workinglandstrust@gmail.com. The Working Lands Trust is actively protecting working farms and forests in the Eastern North Carolina Sentinel Landscape. 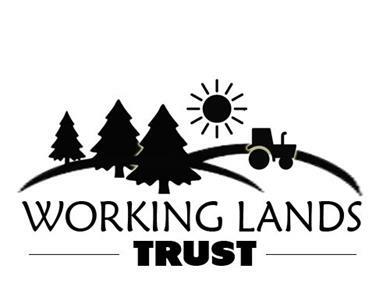 Landowners in North Carolina can contact the Working Lands Trust at workinglandstrust@gmail.com. Mr. Lucian Niemeyer was appointed by the President as the new Assistant Secretary of Defense (ASD) for Energy, Installations and Environment (EI&E) on August 2, 2017. In this role, Mr. Niemeyer provides budgetary, policy, and management oversight of the Department of Defense’s real property portfolio which encompasses 28 million acres. Within this portfolio, he is responsible for enhancing the Department’s planning, programs, and military capabilities to provide mission assurance through military construction, facilities investment, environmental restoration and compliance, installation and operational energy resilience, occupational safety, and defense community assistance programs. Mr Niemeyer is also responsible for the policy development and execution of initiatives concerning utilization, consolidation, and optimization of domestic and overseas installations. Prior to his appointment, Mr. Niemeyer worked in the private sector as the founder of The Niemeyer Group, LLC and also served on the professional staff of the United States Senate Committee on Armed Services from 2003 to 2014. 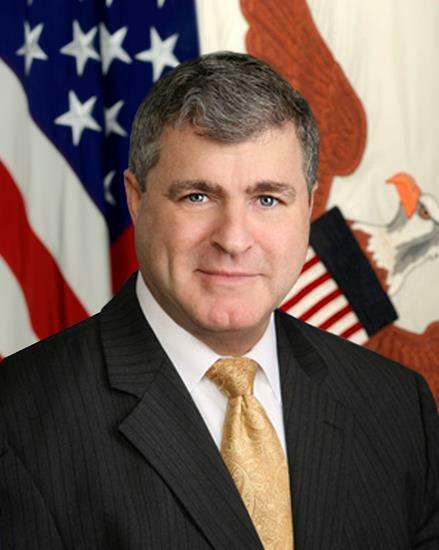 More information on Mr. Niemeyer and the Office of the Asssistant Secretary of Defense for Energy, Installations, and Environment is available here. On August 15, 2017, the National Fish and Wildlife Foundation (NFWF) announced $5.5 million in awards through the 2017 Longleaf Stewardship Fund. 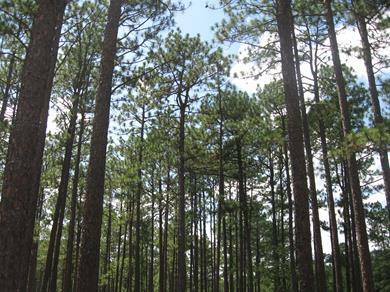 Funds from the 2017 awards will help to establish over 3,800 acres of new longleaf pine and enhance an additional 127,600 acres of existing longleaf pine in the vicinity of 8 military installations throughout the southeast, helping to ensure the military’s continued ability to test, train, and operate in the region. "DoD's partnership with the Longleaf Stewardship Fund provides wide-ranging benefits for national defense," said Maureen Sullivan, Deputy Assistant Secretary of Defense for Environmental Safety and Occupational Health. "The Longleaf Stewardship Fund surpassing the impressive milestone of one million acres of longleaf pine restored or enhanced is a true win-win for conservation efforts and the military, helping to ensure the warfighter's continued ability to test, train, and operate on military installations and ranges throughout the southeast." More information on the 2017 Longleaf Stewardship Fund awards is available in NFWF's press release. Please join us in congratulating Ryan Orndorff on his new position as the Director of Natural Resource Conservation Programs within the Office of the Deputy Assistant Secretary of Defense for Environmental Safety and Occupational Health. In his new role, Ryan will join the DoD Natural Resources Program, assuming management responsibilities for the Legacy Program and DoD’s participation in the Cooperative Ecosystem Studies Units (CESU) Network. Ryan will continue to participate in the Southeast Regional Partnership for Planning and Sustainability (SERPPAS) and other partnership activities on behalf of DoD. We wish Ryan all the best and look forward to continuing to work with him in his new capacity! The REPI Program will attend the Land Trust Alliance (LTA) Rally 2017 from October 26 to 28 in Denver, CO. Rally is LTA’s annual gathering of nearly 2,000 land conservation practitioners from around the country, offering more than 130 educational sessions focused on land conservation topics, special networking events, exhibits, and more! The REPI Program will participate in a session with its Federal agency partners on “Federal Financing for Strategic Landscape-scale Conservation” (workshop A12) on Friday, October 27 and will also host an informational breakfast for new and existing REPI partners. Join the REPI Program and your conservation colleagues in Denver for what promises to be a great weekend! Please visit the LTA Rally 2017 website for additional information on Rally and the schedule of events. Interested in receiving regular updates from the Sentinel Landscapes Partnership? Want to learn about the Partnership’s accomplishments or hear about future application cycles? Subscribe to the Sentinel Landscapes mailing list to receive the latest updates, news, and announcements from the Sentinel Landscapes Federal Coordinating Committee straight to your inbox. To sign-up, click here. Representatives from the Camp Ripley Sentinel Landscape discuss their partnership's goals, successes, and challenges at the 2017 Sentinel Landscapes Workshop. An attendee reports to the group following a small-group discussion session at the 2017 Sentinel Landscapes Workshop. The Sentinel Landscapes Federal Coordinating Committee (FCC) convened key stakeholders from across the Sentinel Landscapes Partnership for a workshop in New Orleans, LA from June 14 to 16, 2017. As the first event of its kind for the Partnership, the purpose of the workshop was to provide a forum for sharing best practices and lessons learned across the current Sentinel Landscapes. The workshop also allowed representatives from the partner Federal agencies to respond to challenges that each Landscape faces in working towards its goals and priorities. In bringing together these key stakeholders, the FCC sought to form relationships and establish an on-going dialogue between the current Landscapes that will allow for the continued exchange of information and, as a result, the further development of the Partnership. Additional attendees included agency representatives from the U.S. Departments of Agriculture (USDA), Defense (DoD), and the Interior (DOI) at the national, regional, and state levels as well as representatives from proposed Sentinel Landscapes that applied for designation in the 2017 application process. The workshop was organized around four main sessions: “Sharing the Sentinel Landscape Story,” “Partners and Programs,” “Filling up the Toolbox,” and “What Next? How to Keep Your Landscape Moving Forward.” Sessions included presentations from attendees, facilitated discussions, and small group exercises, all of which were intended to provide an opportunity to learn from each of the current Sentinel Landscapes’ goals and accomplishments, as well as the challenges that they face. At the end of the three-day event, each Sentinel Landscape and the Federal representatives reported on their key takeaways. The FCC asked attendees to meet in their respective groups after the workshop to discuss the next steps that they will take as a result of the workshop and then provide a report on these next steps to the Partnership. Before adjourning, attendees discussed ideas for how to best continue the dialogue started at the workshop, which is a major priority of the FCC moving forward. For more information on the Sentinel Landscapes workshop or the Sentinel Landscapes Partnership in general, visit the Sentinel Landscapes website or contact the REPI Office. Join us for this online series on best practices, tutorials, and knowledge sharing on REPI partnerships that support the military mission and accelerate the pace and rate of land conservation. Our 2017 REPI Webinar Schedule is on the website available for download here. Summary: Beyond your traditional REPI buffer partner, other stakeholders--including your state conservationist, state legislators, county commissioners, soil and water conservation district representatives, local farm bureau leaders, and state technical committee members--can help advance your partnership's objectives. With some help from REPI's primer series, an engagement strategy that brings together a full range of stakeholders can be an effective way to develop win-win solutions for all interested parties and help ensure mission sustainability. When: Wednesday, November 8, 2017 at 1:00PM ET. For instructions to join the webinar, please click here. If you missed the most recent REPI webinars, "Leveraging GIS to Define and Make Progress toward Your Desired End State," "The Gopher Tortoise Conservation Strategy as Model to Protect At-Risk Species” or “Annual REPI Help Session for FY18,” please visit the REPI website to view the webinar recordings or contact us for more information. Below is a sampling of some key points and lessons learned from the recent webinars. •Mr. Cameron Becker (Land and Water Project Manager, Arizona Land and Water Trust) and Ms. Janelle Gaun (Land and Water Project Assistant, Arizona Land and Water Trust) presented on the Arizona Land and Water Trust’s use of geospatial data and mapping in the Fort Huachuca REPI project. Geospatial data can play an important role in planning and targeting conservation efforts at a landscape scale. Mr. Becker and Ms. Gaun also shared an example of the use of a geospatial story map as an effective communication tool. •Mr. Ricardo Aguilar and Mr. Tadas Pack (Counties Futures Lab, National Association of Counties (NACo) discussed NACo’s County Explorer, which is an interactive tool that allows you to map a host of different county-level indicators in real time. More information: http://www.naco.org/. •Mr. Larry Orman (Senior Fellow, GreenInfo Network) shared information on the Protected Areas Database of the United States (PAD-US), which is the official inventory of protected open space in the U.S. With over 3 billion acres in 150,000 holdings, the spatial data in PAD-US represents public lands held in trust by thousands of national, state, and regional/local governments, as well ask non-profit conservation organizations. More information: https://gapanalysis.usgs.gov/padus/. •Mr. Ryan Orndorff, Director of Natural Resource Conservation Programs, DoD, provided background on the Gopher Tortoise Conservation and Crediting Strategy, which was finalized in March 201. The Strategy establishes a process for targeting conservation investments for the gopher tortoise, a candidate species for protection under the Endangered Species Act (ESA), on non-military lands to establish “credits.” These credits allow for regulatory predictability and flexibility to the military if the species is protected under the ESA. •Mr. Mike Harris, At-Risk Species Coordinator, U.S. Fish and Wildlife Service (USFWS), Southeast Regional Office, discussed the development of the Gopher Tortoise Conservation Strategy and the process involved with implementing the Strategy moving forward. Mr. Harris discussed the process for defining credits and establishing Gopher Tortoise Conservation Areas (GTCAs). The USFWS’ Conference Opinion analysis of the Strategy is currently underway and the first site to be created under the Strategy, the Alapaha Wildlife Management Area in Georgia, is under development as a GTCA. •The REPI office hosted its annual REPI Help Session for FY18 to review the FY18 REPI Program Guide for Encroachment Management Partnerships and discuss updates to the REPI Online Proposal Tracker. •For additional information, please consult the FY18 REPI Program Guide or contact the REPI office or your Military Service representative. Watch recordings of past webinars on the REPI website. The Aurora Sentinel (Aurora, CO) ran an op-ed from Congressman Mike Coffman (R-CO) highlighting the Congressman’s efforts to protect the long-term mission of Buckley AFB. The Congressman named the REPI Program as a key “solution” for mitigating incompatible development and preventing BRAC closures while also providing recreational opportunities and environmental benefits around the fence line of the installation. Southern Maryland Headline News (Patuxent River, MD) reports that St. Mary’s County opened Snow Hill Park, a 163-acre waterfront property along the Patuxent River near Naval Air Station (NAS) Patuxent River, on July 22, 2017. St. Mary’s County acquired the property using funds from the Maryland Department of Natural Resources and the DoD REPI Program. Snow Hill Park will provide the surrounding community with water access and a number of recreation opportunities, all while helping to ensure that land beneath the airspace used for testing and training by nearby NAS Patuxent River and the Atlantic Test Ranges (ATR) remains compatibly with the military mission. The Santa Rosa Press Gazette (Milton, FL) reports that Naval Air Station (NAS) Whiting Field has acquired an easement on 163-acres of undeveloped property adjacent to the northern boundary of Outlying Landing Field (OLF) Pace to help ensure that future development does not occur under flight tracks used for the vital helicopter training mission at NAS Whiting Field. “This parcel of land offers a tremendous buffer with respect to our TH-57 training,” Community Planning Liaison Officer Randy Roy stated. “These transactions will positively affect the installation’s mission for decades to come.” The easement was acquired using funds from the REPI Program and Santa Rosa County. Federal Grant to Help Limit Development near NC Military Bases. WRAL (Raleigh, NC) reports that Agriculture Commissioner Steve Troxler announced that North Carolina will receive more than $9 million in Federal funding to protect areas around military bases. "We all know that there's been encroachment around our military bases. This means that they can't train like they want to or as much as they want to," Troxler said. "When you marry forestry, agriculture and the military together, and we could use agriculture and forestry to protect the military, that's as good as it gets." The Federal grant will be matched by money from the military, the USDA, and the state. Camp Ripley Named Secretary of Defense Environmental Award Winner. The Brainerd Dispatch (Brainerd, MN) reports that the Department of Defense selected Camp Ripley as the winner of the 2017 Secretary of Defense Environmental Award for Natural Resources Conservation, Large Installation. The award in part recognizes Camp Ripley’s conservation and encroachment protection efforts through the Army Compatible Use Buffer program and the Camp Ripley Sentinel Landscape partnership, which seeks to conserve natural habitat and working lands that are compatible with the Camp’s training activities. "Our mission is to complement and support the military mission of the Camp Ripley Training Site by promoting sound natural resource stewardship principles," said Josh Pennington, the Camp's environmental supervisor. Proposed Land Purchase by Town Could Also Benefit Military. The Jacksonville Daily News (Jacksonville, NC) reports that the Town of Emerald Isle is moving forward with the acquisition of the final remaining parcel of land in a project to buffer an auxiliary landing field used by units training out of nearby MCAS Cherry Point. The town proposes funding the acquisition of the parcel, which is located directly underneath a military flight path, using funds from the DoD REPI Program, several state programs, and the town’s operating budget. The town intends to use the property for recreational purposes, conveniently located near an existing recreation center. Fort A.P. Hill Accepts the 2017 Governor's Environmental Excellence Gold Award. The U.S. Army Public Affairs (Alexandria, VA) reports that Fort A.P. Hill was awarded the 2017 Governor’s Environmental Excellence Gold Award for Land Conservation in recognition of the Fort’s Army Compatible Use Buffer (ACUB) Partnership. The Governor’s Environmental Excellence Awards recognize significant contributions of environmental and conservation leaders in Virginia. you expressed interest in the REPI Program.